The present study, based on a comparative analysis of several plans for Lisbon’s Baixa district, with an emphasis on that area’s public space, contributes to an understanding of the urban design process and presents a fresh perspective on dealing with historical data by conducting a posteriori analysis using mathematical tools to uncover relations in the historical data. The nine plans used were quantified and evaluated in a comparative manner. While CAD was used to quantify the urban morphology of the different plans, comparative tables make it possible to register the data, which was further evaluated through two interrelated processes: mathematical analysis and the urban analysis. The results show the existence of power law relations for the areas of each of the city’s different elements (e.g., blocks, churches, largos and adros). We discuss how this contributes to the understanding of the plans’ elements. 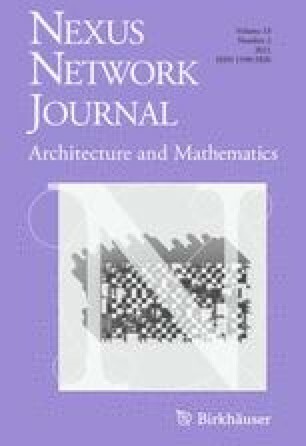 Presented at Nexus 2010: Relationships Between Architecture and Mathematics, Porto, 13-15 June 2010.